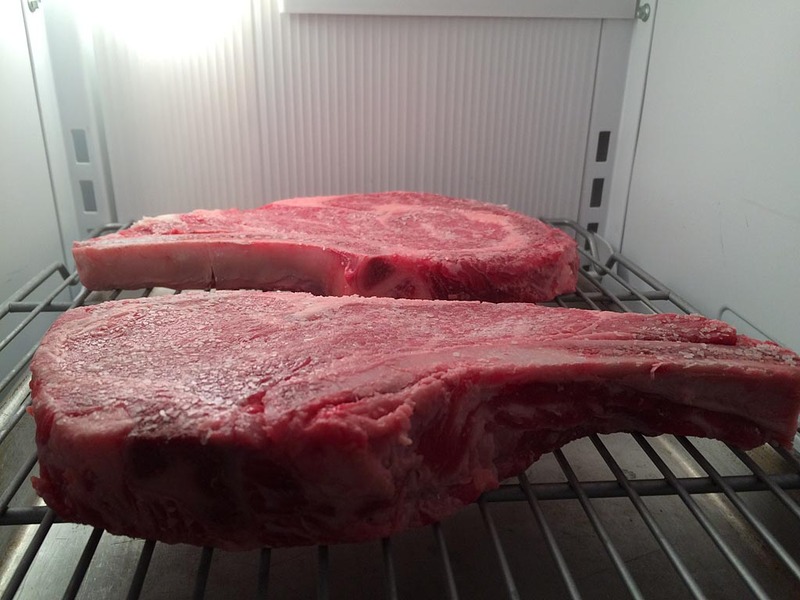 Many steaks sold in supermarkets are not particularly thick, perhaps 3/4″ to 1″ thick. 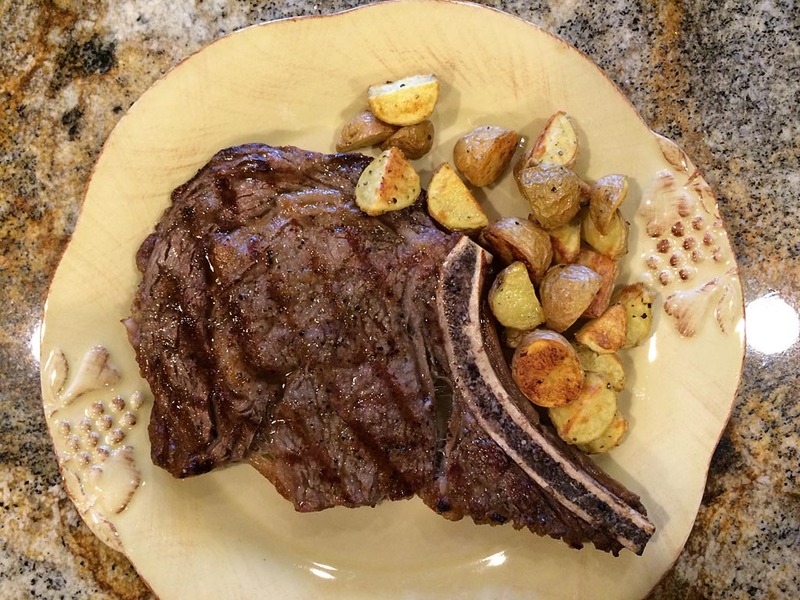 One of the challenges with grilling steaks like this is that by the time a good sear is achieved on the exterior, the interior can be gray and overcooked. 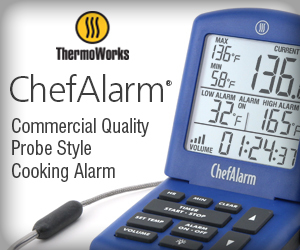 Here’s how to solve this problem, thanks to the good folks at America’s Test Kitchen. 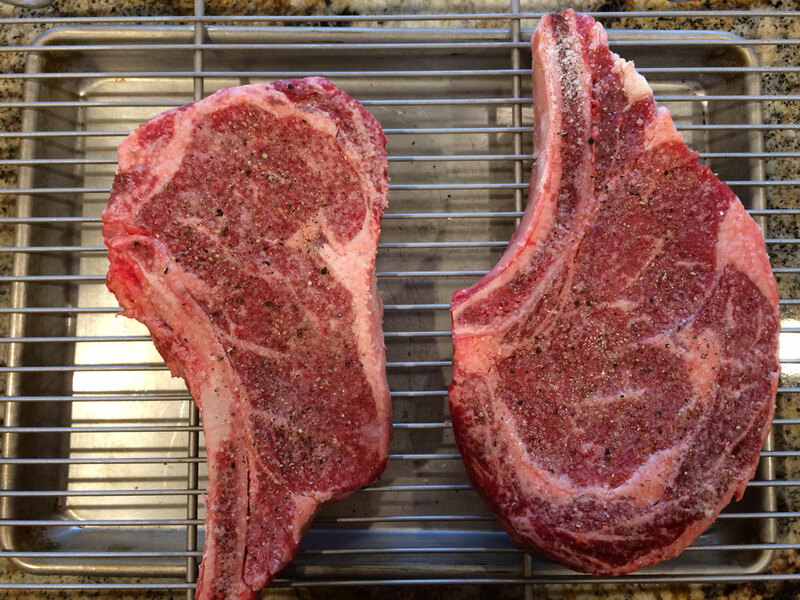 Choose 3/4″ to 1″ thick ribeye or strip steaks. Pat steaks dry with paper towels. 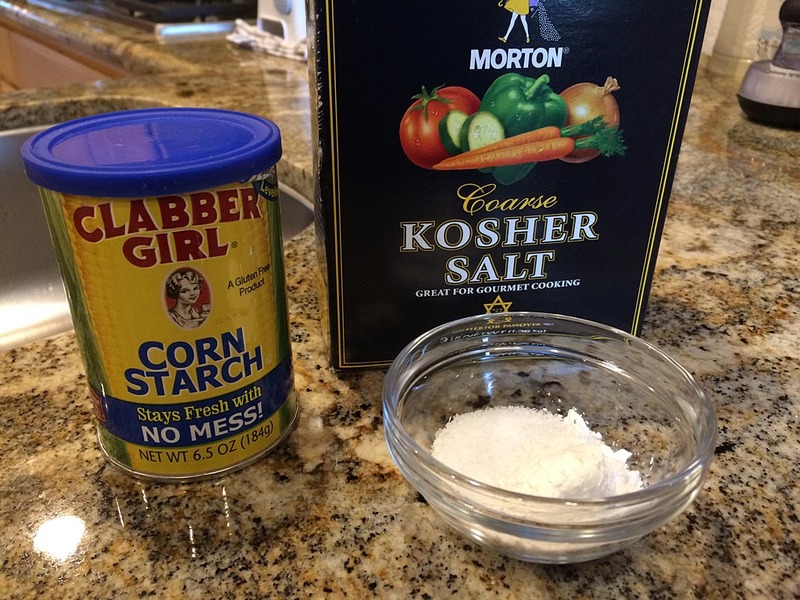 For two steaks, combine 1 tablespoon kosher salt and 1-1/2 teaspoons cornstarch. 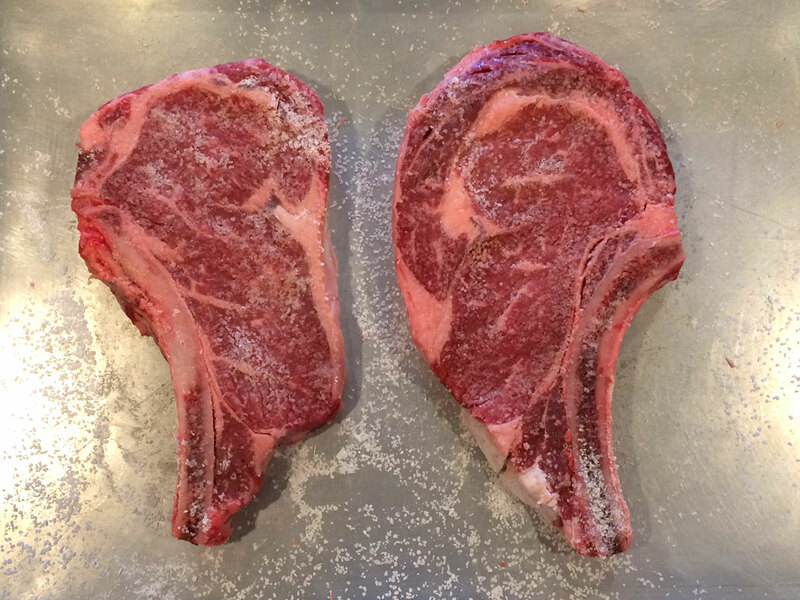 Rub steaks on both sides with the salt/cornstarch mixture. Place the steaks on a wire rack over a rimmed baking sheet and place in the freezer for 30 minutes to chill. 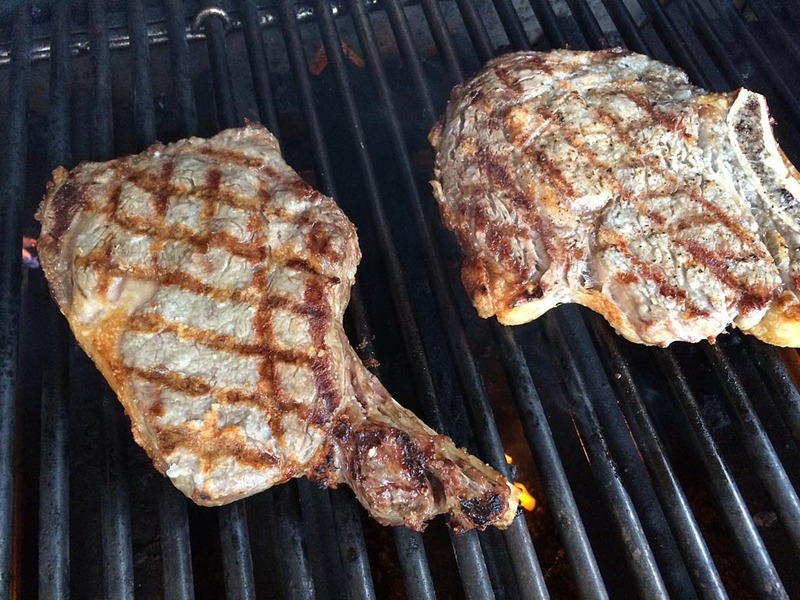 Preheat your gas grill on HIGH starting 10 minutes before the steaks come out of the freezer. Use a grill brush to clean the grates. Just before putting the steaks on the grill, apply ground black pepper to taste on both sides. Grill the steaks on the first side for 2 minutes. Flip and grill for 2 minutes on the second side. 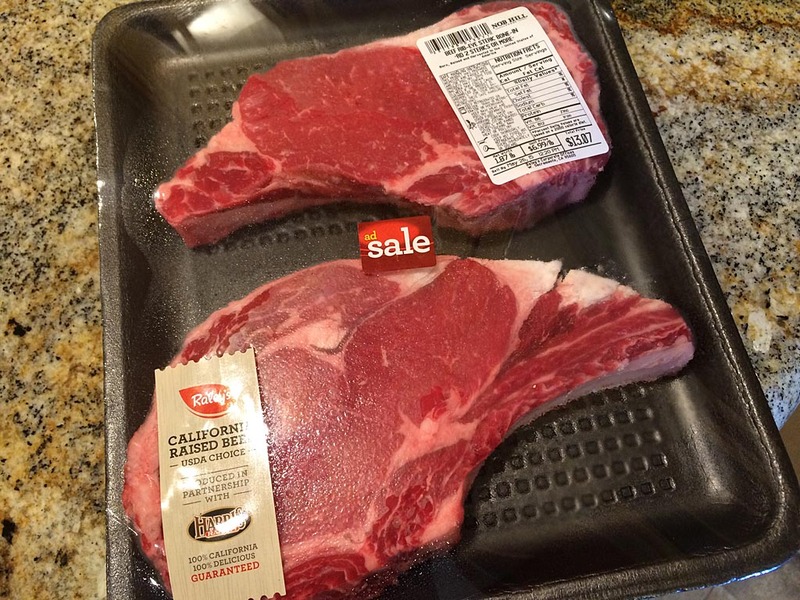 Repeat the process, turning the steaks 90° to create diamond grill marks, for a total of 8 minutes of grilling. 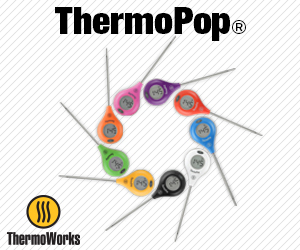 Use an instant-read thermometer to check for doneness; medium rare will be 120-125°F. Remove steaks from the grill, cover loosely with foil, and let rest for just a couple of minutes while you get the other food to the table—5 minutes max. Patting the meat dry with paper towels, applying cornstarch and allowing the meat to sit in the low humidity of the freezer all help to dry the surface of the meat, which promotes browning. Chilling the steaks in the freezer allows them to stay on the grill long enough to sear the exterior without overcooking the interior. Note how the interior of this thin steak stays pink inside with just a thin layer of gray cooked meat around the outside edge. 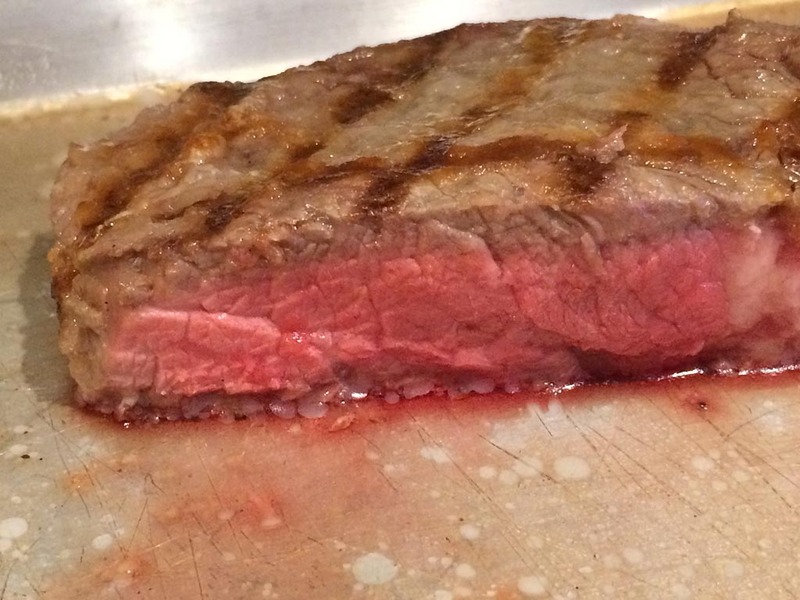 You can use this method for steaks up to 1-1/2″ thick.